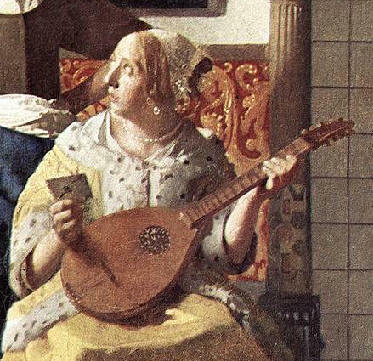 The cittern is a flat-backed, strummed with a plectrum, and the melody was usually played on the top string. 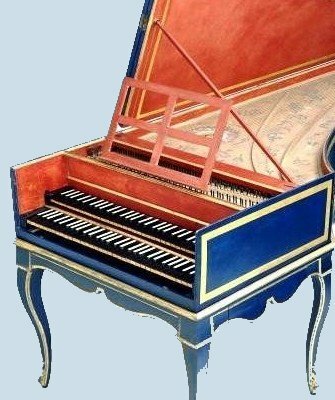 It was the first to be made with metal wire strings and solid brass frets set into the fingerboard. 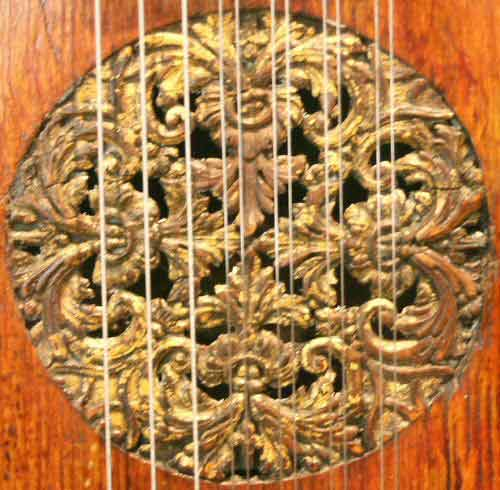 Citterns were variously tuned and usually had 8 or 9 strings. 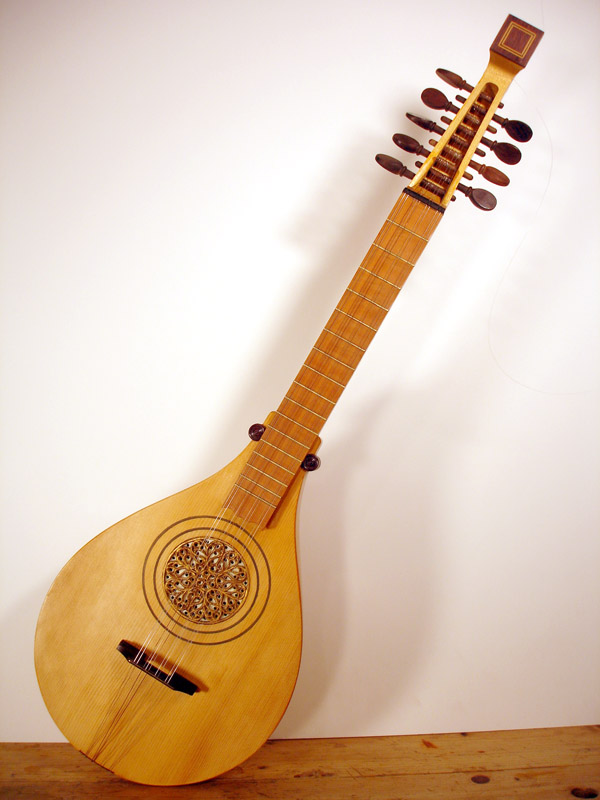 The cittern is definite successor of the citole. Thus aspects of the cittern can be backtracked into the citole through the gitern. Both instruments share the etymology of their names, and, in most cases, tuning and playing technique. The overall shape and construction technique is completely different. Because it was relatively easy to play and kept its tuning well, it became very popular. It enjoyed a revival in Italy and throughout Europe following the publication in 1574 of 'Il primo libro di tabolaturo di citthara' by Paolo Virchi, the son of a cittern maker from Brescia. 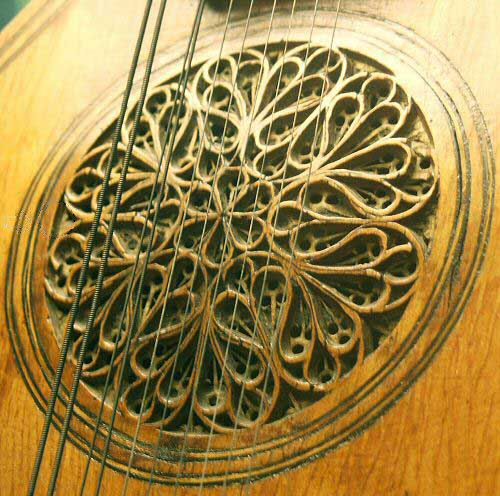 Our Cittern is a traditional four course model with re-entrant tuning, based after a combination of an instrument by Gasparo Da Salo, circa 1560 preserved in the Ashmolean Museum (Oxford University) and an anonymous mid - late 17th century Italian cittern in the V&A Museum (London). The finished instrument made from figured English sycamore. It has a Swiss pine table, rosewood pegs and fittings and an extremely delicately carved rose in English cherry on a parchment base. El instrument has a total length of about 75 cm. The bridge is movable and made of ebony with brass saddle. Wire strung on all courses the cittern is accurately fretted using solid brass frets and is tuned e'e', d'd', gg'g, bb. A soft padded bag or fitted hard case are available as optional extras if required. The same Cittern is offered in kit form for home assembly. An important feature of our cittern kit is the inclusion of a mould to ensure success, even for the first time builder, so assembly of the body can begin immediately. Our kit contains all the parts to build a traditional four course cittern. The ribs and back are supplied in English sycamore sanded to thickness and ready for assembly around the mould. The neck is pre-shaped with the pegs already fitted to reamed holes and the fingerboard has been machined to ensure accurate fitting of the brass frets. All the parts in the kit are made from traditional materials and include a Swiss pine top and sycamore back. The instruction manual reveals the secrets of carving a rose. You can make the same Cittern from scratch, following detailed step-by-step instructions through the construction process in a clear and concise manner.